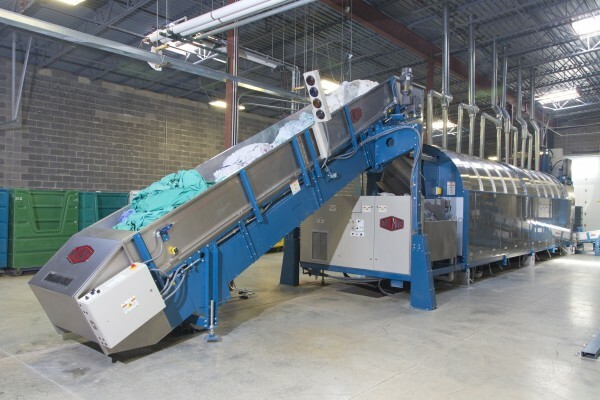 Marberry Laundry Adds Tunnel Washer, Loses One Shift! William Marberry and his four sons entered the dry cleaning/laundry world during the 1960’s when they purchased Illinois Cleaners. 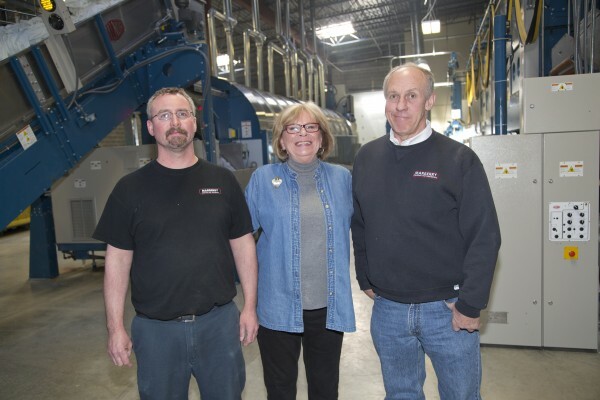 Over 50 years later, Marberry Laundry is now a third-generation family-owned company. 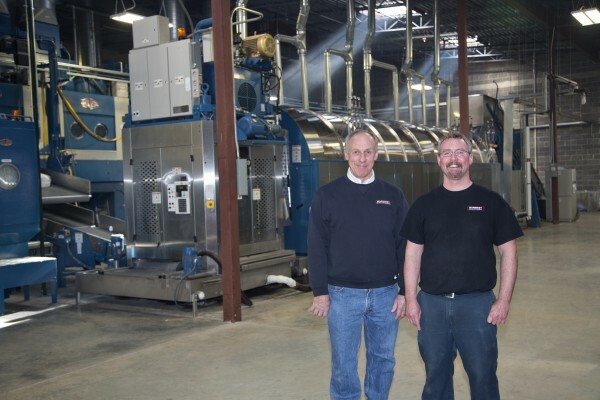 Owners John Marberry Jr., John Marberry Sr., Nathan Marberry, David Marberry, and Peter Marberry have over 100 years experience in the laundry industry combined. They have grown from one location to currently owning six locations in the Western Suburbs of Illinois. 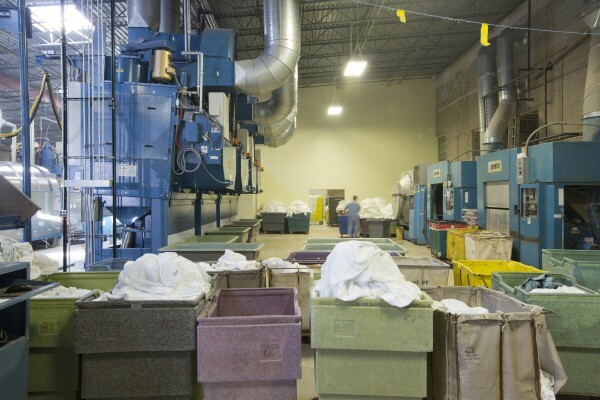 Marberry Laundry produces approximately 8.5 million pounds of customer owned goods (COG) per year. 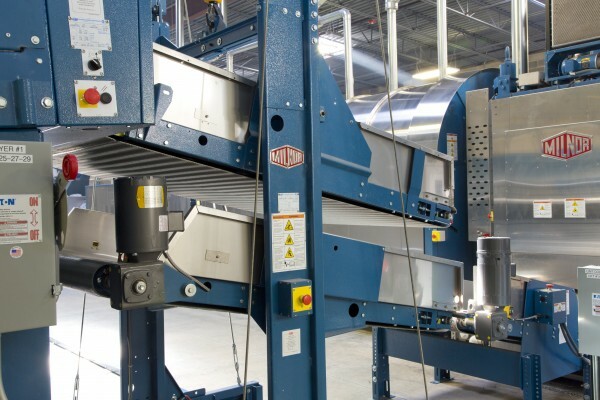 Due to their significant growth and production needs, Marberry Laundry recognized that a tunnel washer would be best for business. In the spring of 2014, the Marberrys decided to purchase a 10 module, 110 lb. 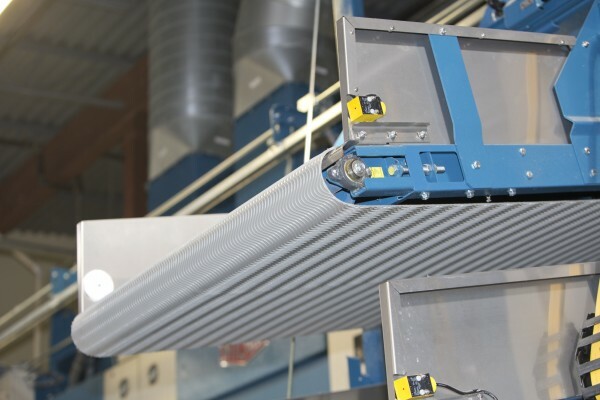 batch washer with PulseFlow® Technology from Pellerin Milnor Corporation (another family-owned business). Their new tunnel system includes four automated dryers. In July 2014, Equipment International, Ltd. installed and started up the new tunnel system. 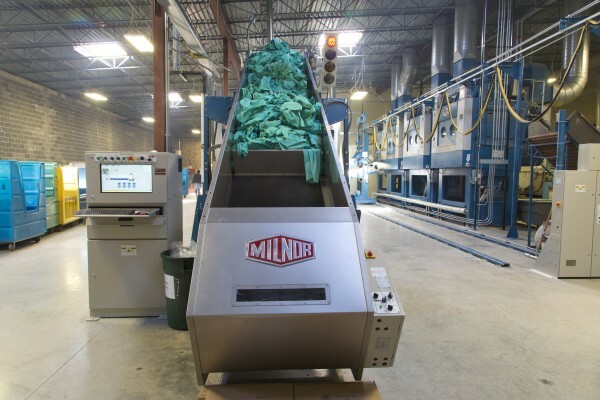 Milnor’s tunnel washer with PulseFlow Technology has allowed them to reduce their wash time by one full shift. They have gone from two shifts with conventional industrial washer-extractors to one shift with the tunnel washer. The new Milnor PBW™ has created huge savings in time, energy and dollars. Marberry Laundry's continued efforts to “clean green” by reducing water, gas and electricity consumption are well established. By installing a Milnor tunnel batch system they have made major progress towards their eco-friendly goals. The tunnel system allows for clean water at the end of the cycle to be recycled right back to the beginning of the tunnel, reducing water usage. 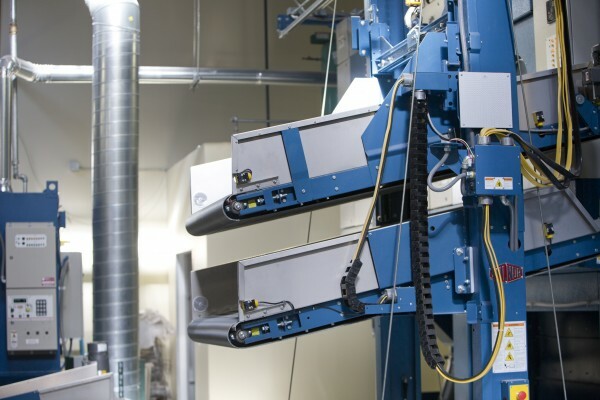 A hydraulic press at the end of the tunnel presses most of the water out of the laundry, resulting in linens that need substantially less drying time and therefore use less natural gas. Marberry has reduced their water usage by 66% and their gas usage has decreased by 15% since the implementation of the tunnel washer system. 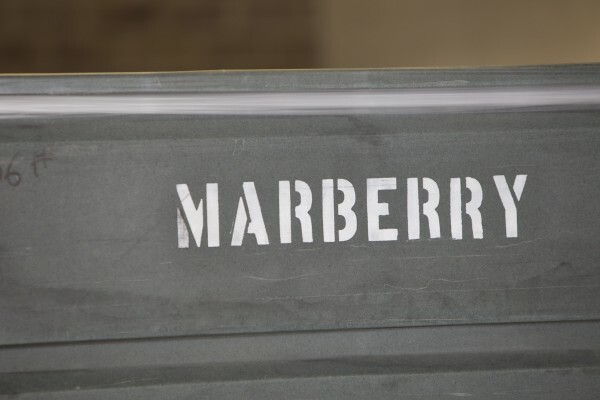 The tunnel washer has allowed Marberry to create a much more consistent production schedule. 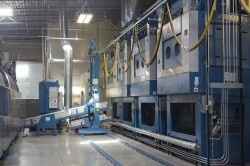 Output from the washers and dryers comes to the production floor at twice the rate as it previously did. Prior to the tunnel, they would typically run until 3:00 am. Now Marberry is able to finish most nights no later than 8:00pm! Marberry has reduced their hours of operation since the implementation of the Milnor Tunnel Batch system from a 22 hour day to a 14 hour day. The shorter operating hours has allowed operational costs to be reduced across the board. 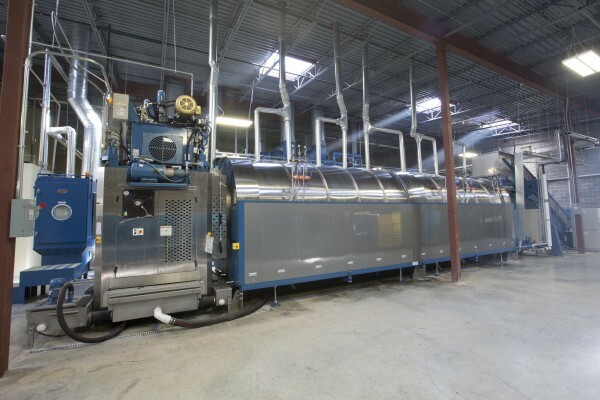 When researching the purchase of a tunnel batch system, Marberry executives leaned heavily on the experience and advice of experts at Skokie-based industrial laundry equipment provider, Equipment International. Kyle Zabrin, Vice President of Sales for Equipment International, Ltd. who is also a third generation owner is looking forward to a long term relationship and fully supporting Marberry Laundry. According to John Jr., Marberry’s future plans with Milnor and Equipment International are to “continue to use Milnor for our tunnel needs and potentially for our automated equipment needs in production.” He assured, “The Milnor Tunnel is as advertised”. Equipment International looks forward to working with Marberry as their preferred distributor along with their well diverse service technicians for Marberry Cleaners daily service needs. Marberry’s goal is to provide customers with a consistent and reliable cleaning product day in and day out. They continue to customize their service to the needs of their clients. They will be able to continue to do this while using their Milnor tunnel batch system to be a business partner their customers can rely on. Marberry Laundry is family owned company based out of St. Charles, IL. Started in 1911 as Illinois Cleaners, the Marberry family took over in the 1960’s. 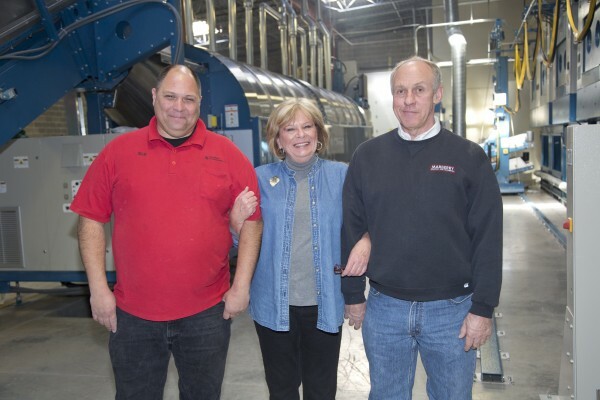 For the past 50 plus years generations of the Marberry family have been providing laundry and dry-cleaning services for residential and industrial clients in the Fox Valley area. They have expanded from their initial location and now operate 6 six locations throughout the western suburbs of Chicago. They can be found in St Charles, Geneva, Lombard, Barrington, Glen Ellyn, North Aurora and Aurora. Equipment International is a 3rd generation family owned Chicago based company. 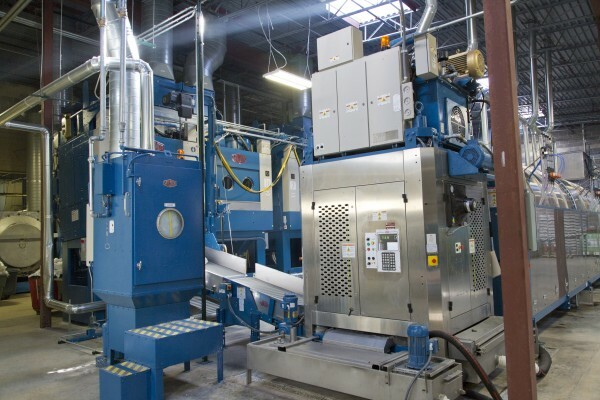 As exclusive dealers of Milnor industrial washers and dryers in Northern Illinois and Northwest Indiana, Equipment International offers a full line of industrial laundry equipment. 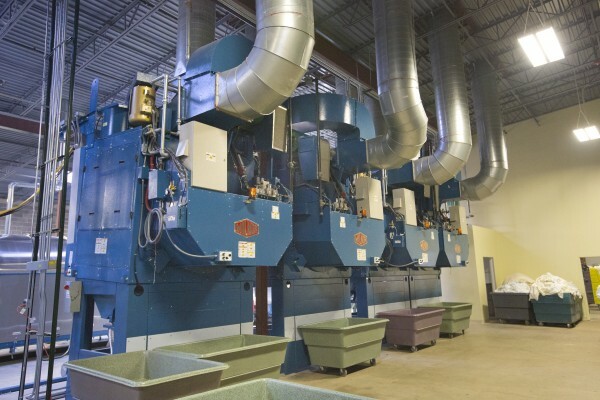 Equipment International provides industrial laundry equipment sales, service and repair to a wide-range of industries including; launderers, hotels, educational institutions, correction facilities, military bases, and restaurants. 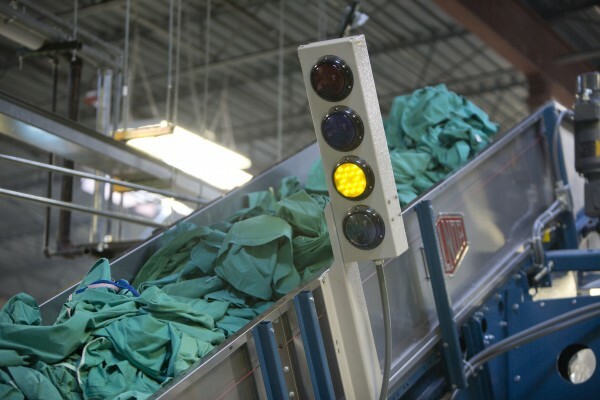 Since 1947, Pellerin Milnor Corporation has been a leading commercial and industrial laundry equipment manufacturer. Milnor’s washer-extractors range in size from 25 lb. to 700 lb. capacity; dryers from 30 - 550 lbs. And, Milnor’s CBW® tunnel washers, including PulseFlow® Technology tunnels, have been successfully employed in all markets. 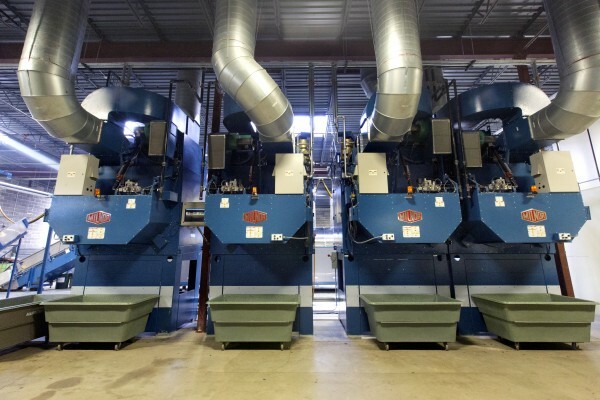 With energy and water saving features like RinSave® water saver, ExactXtract® extraction optimizer, and PulseFlow® Technology, Milnor machinery is engineered to save you money.